These are highest sightings of four digit plates. 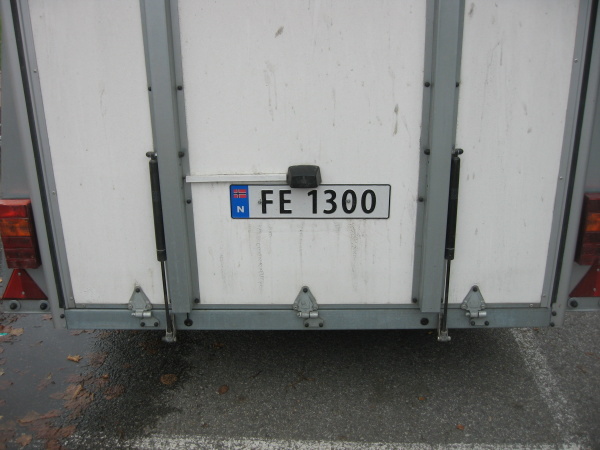 Such plates are used for trailers, motorcycles, mopeds, agricultural tractors, snow scooters and motorized equipment. Since 2012 aluminium plates in 2006 style are again used. They are shown in normal lettering. Plastic plates in 2009 style are shown in bold lettering. Aluminium plates in 2002 style in italic lettering. Aluminium plates in 1971 style (reflective since 1982) in underlined lettering. 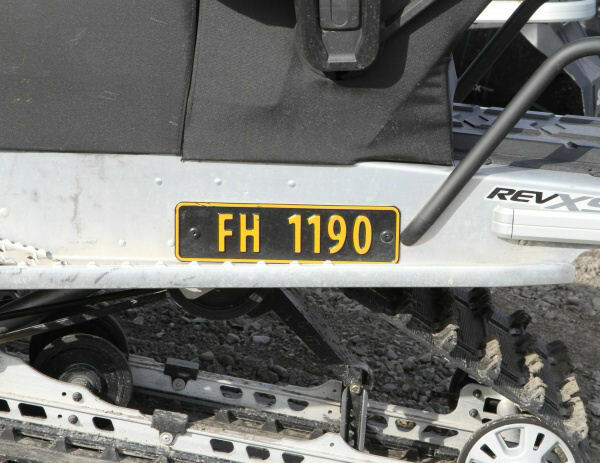 Plates with four numerals are no longer issued with geographical coding. Officially since 9 Feb 2017, a single series is used for the whole country. This is issued alphabetically with combinations that were still not completed, starting with AC, BA and BB. Stil using separate series: electric and Svalbard. Photo of FH 1190 courtesy of Lars Ihle. The next table lists highest sightings with geographical coding. EX-MILITARY FE 1300 21.10.17 Photo courtesy of Kim Andersen. GAS GA Not seen. Probably doesn't exist. HYDROGEN HY Not seen. Probably doesn't exist. SL 5900 issued in 2013. Støren VT 9645 9293 18.12.16 VS up to 1025 issued in 2006. YY 5716/YY 5710 in pre-2002 style. ZG 1000 and 1001 issued 23. and 27.1.2014 by mistake. Thanks to the following for contributing in 2019: Cato Stenmark, Arild Gill, Harald Johansen, Stein Arild Berg, Jon Arild Skedsmo, Kim Andersen and Helge Fjelltun. (1) Registrations for Fredrikstad and Sarpsborg have merged into a single series issued from a new office in Hafslund. After AT was exhausted, AH was finished, followed by AU, AV and AW. different sizes. It is beyond the scope of this page to go into details and I only list the highest sightings regardless of plate type. Have you spotted any higher? Contact Olavsplates and I will include them in the list.